Roll Booster, Roll Boosters for Sale, Roll Booster Manufacturer, Roll Boosters Supplier. 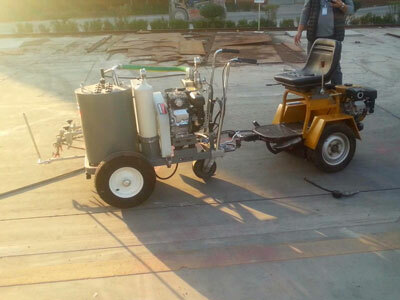 Roll booster is a kind of chair following a road marking machine and other equipment, to realize sitting type machine. Type II, installed with driving device, can supply driving force for the connected machine. 1. A firm welded frame; chrome-plated or corrosion resistant coating sprayed surface; high-speed bearing ensures the whole machine light and convenient to move. 2. 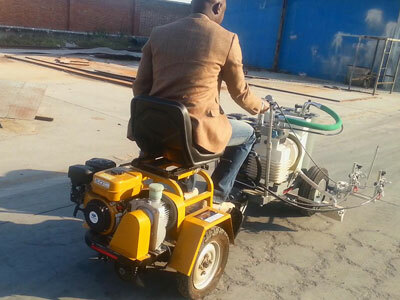 The left and right rubber wheels are gas-filled vacuum wheels. 3. The oblique angle and position of the chair can be freely adjusted according to the operator's needs. 4. 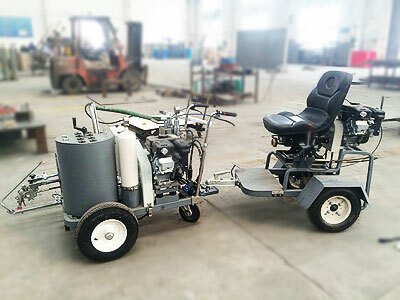 The universal ball-type joint makes the connection between the roll booster and the equipment more convenient. 5. 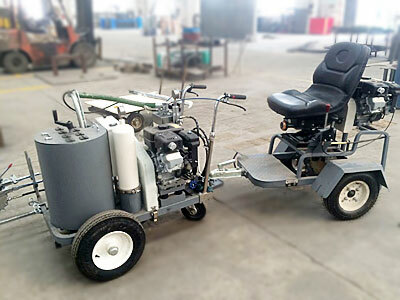 Driving system of type II roll booster is imported oil pressurized continuously variable speed transmission with automatic brake device. The back wheels are equipped with a differential speed gearing to ensure drive freely around the curve and change directions timely. 6. Type II roll booster equipped with highlight light that makes the night construction more convenient.